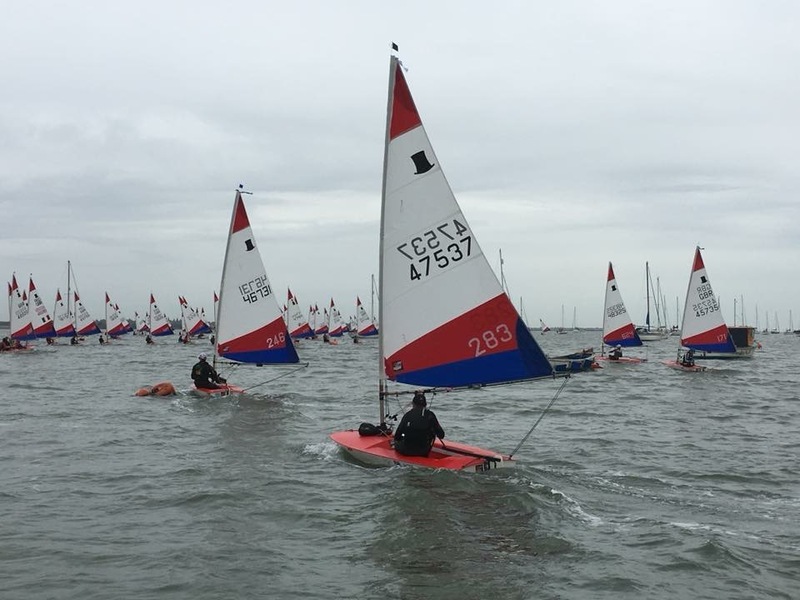 Last weekend (September 8th & 9th ) saw the first of the International Topper Class Association National Series Events for the 2018-19 season take place at Marconi SC. 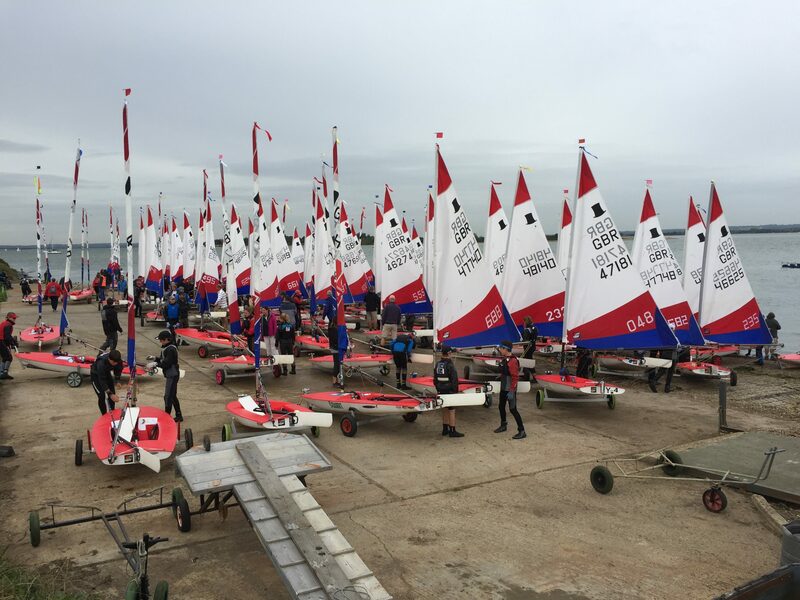 This was the first time a Topper National Series Event has been held at Marconi SC and what an event it was. The class was out in full force with 155 boats registered to take part in the event. For many this was the first real experience of big fleet sailing at a truly tidal location this provided an extra challenge for the fleet which most seemed to handle without any great drama. It must be said that all at MSC where mightily impressed by the Topper Class Associations event machine, very organised and very positive – this made for a very good event weekend. The weather also played ball with mostly sunshine a decent breeze, this helped to make the weekend very enjoyable for the sailors who seemed to be having a very good time indeed. The only thing more impressive than the ICTA event machine was the sailors themselves, brilliant on and off of the water. The race officer remarked that being thanked by large numbers of the sailors as they crossed the line to return home after the days racing made an extremely pleasant end to to two great days of sailing and was very much appreciated. The recently finished Bridge Deck development was remarked upon as being one of the best facilities they have ever seen for visibility of the sailing area and radio communications. The large clear hard was also seen as being one of the best the well travelled fleet has enjoyed, if possibly a bit lumpy. The large amount of space was also enjoyed particularly as it is mostly grassed providing a boat friendly rigging surface. The sight of so many Toppers at Marconi was inspiring – perhaps even inspiring enough to be the start of more things Topper at Marconi SC. For a full race by race event report see the Yachts & Yachting write up.